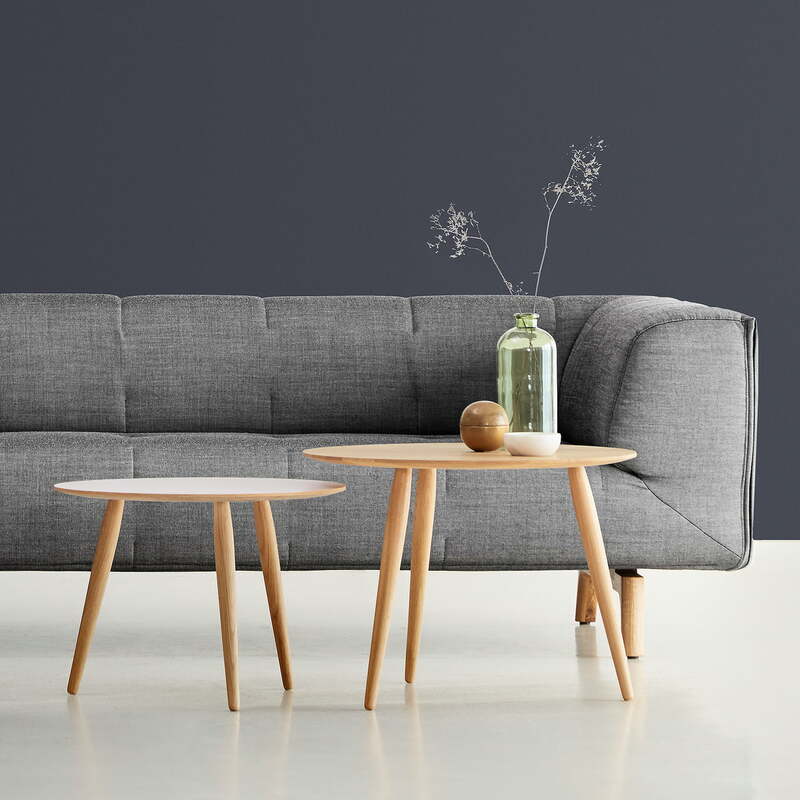 The Playround coffee table is part of the same name series by bruunmunch , which features a subtle and at the same time facetted design. 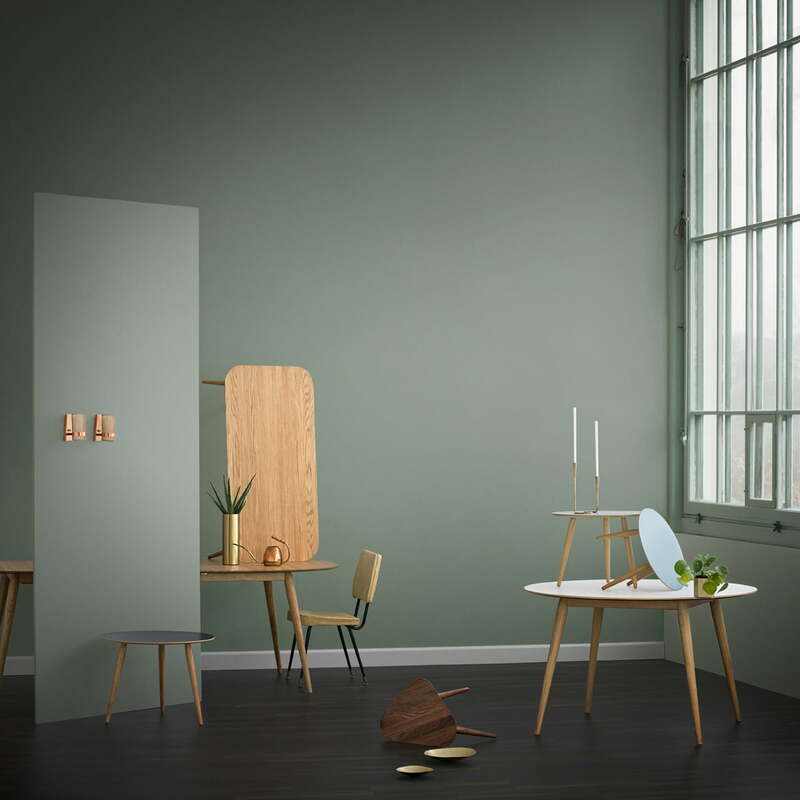 The tables - designed by Henrik J. Bruun & Jacob S. Munch - are available in various sizes and types of wood, so that they are an elegant highlight either on their own or in combination for example as nest ensemble. 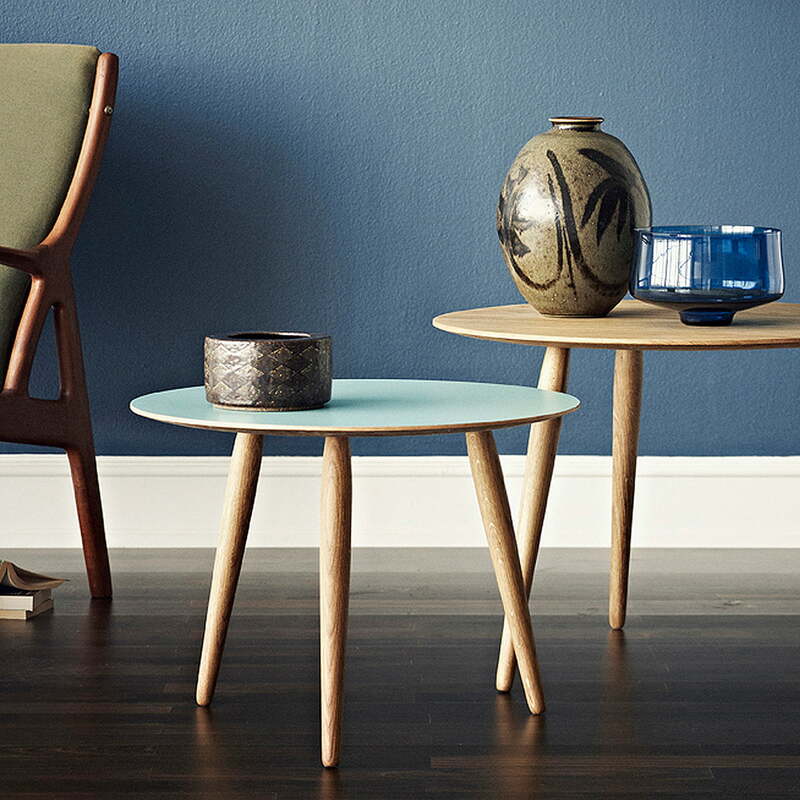 With its sleek, tapered legs, the round coffee table reminds of the kidney tables of the 50s. 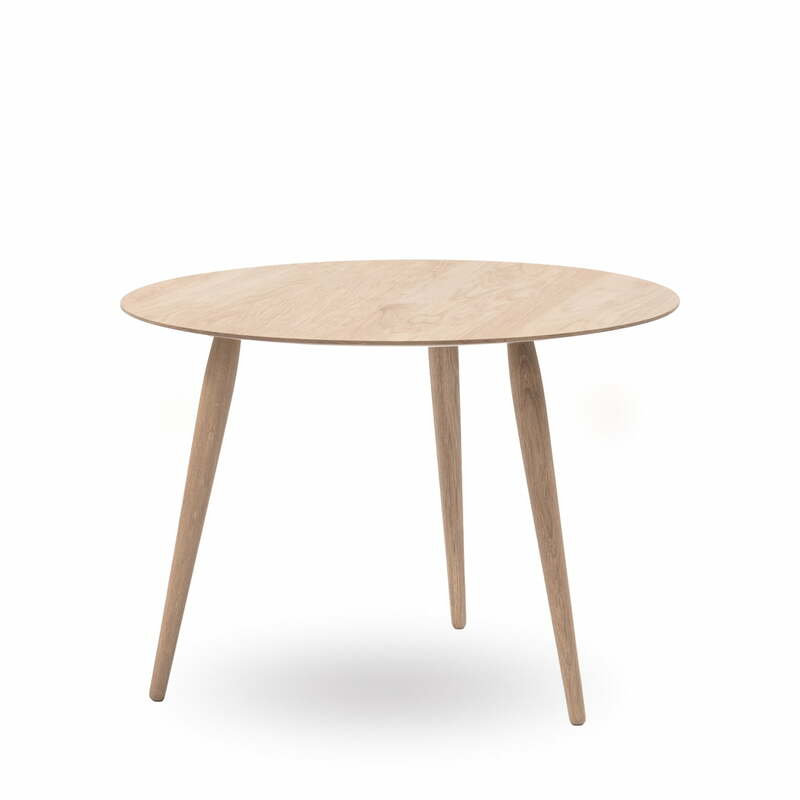 Timelessly manufactured from solid oak or walnut wood in Denmark, the Playround table is a versatile piece of furniture that offers sufficient storage space next to the sofa to store drinks, magazines and accessories. Totally in the style of the 50s, the Play table is available on request also with a kidney-shaped table top in various colours (laminate) or different types of wood. 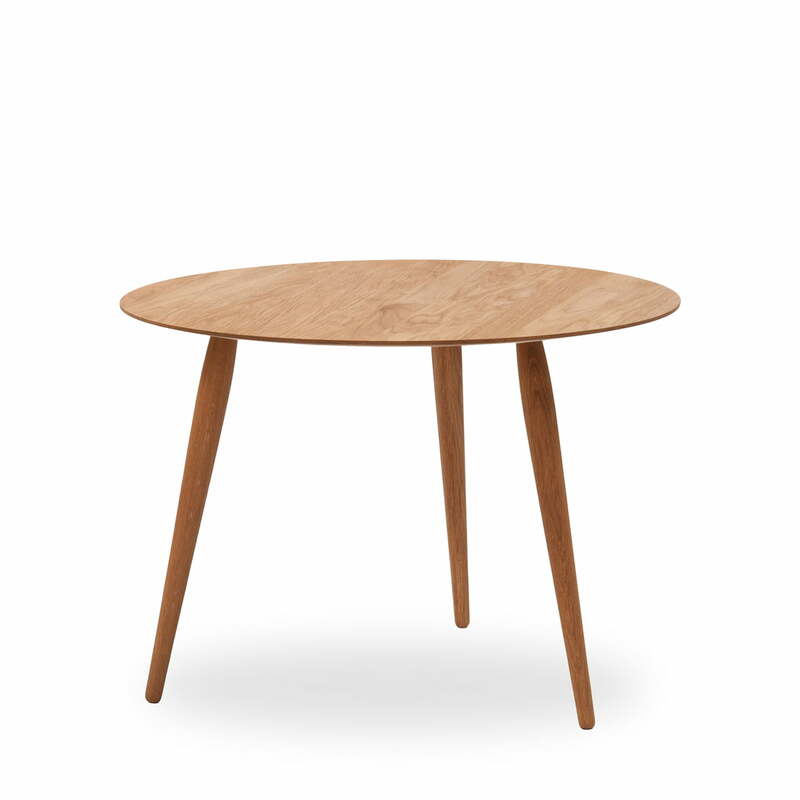 Individual image of the play round wood side table with a diameter of Ø 90 cm by the Danish manufacturer bruunmunch from the same name side table series. Individual image of the Play Round wood side table with a diameter of Ø 90 cm by the Danish company bruunmunch. 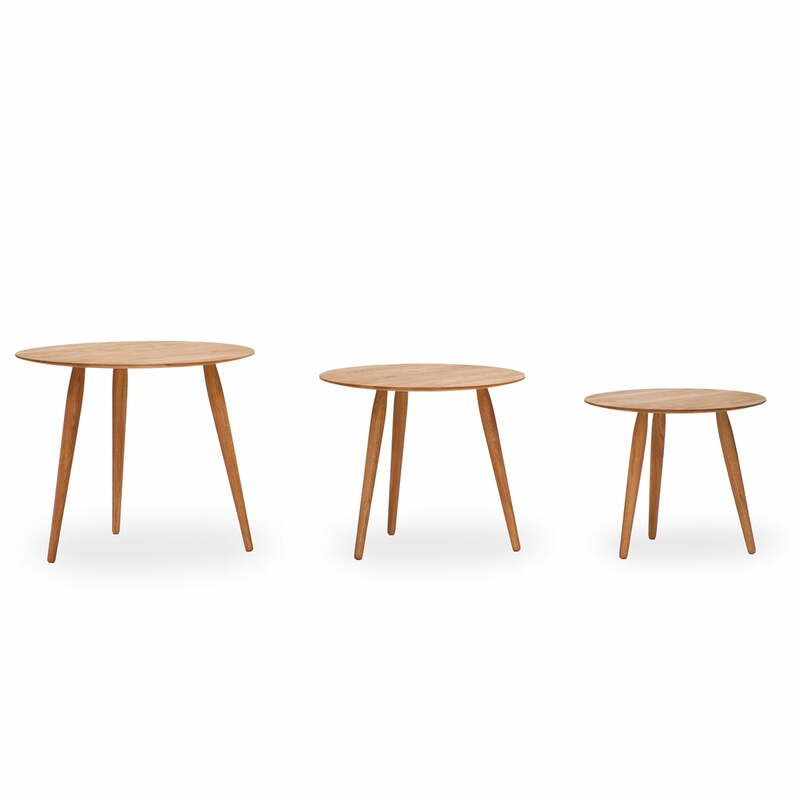 Legs and table top are made of natural oak. The Play series, designed by Henrik J. Bruun & Jacob S. Munch, includes side tables in five different sizes and three different heights. bruunmunch offers the tables with tops in laminate and solid wood. bruunmunch offers the table in the solid wood types: European oak and American Walnut. The table top is available also in laminate in different colours. The walnut wood is treated with natural oils, while the oak wood is available in the variants oiled, soaped or white oiled. And the oak legs are also available in a black lacquered version. 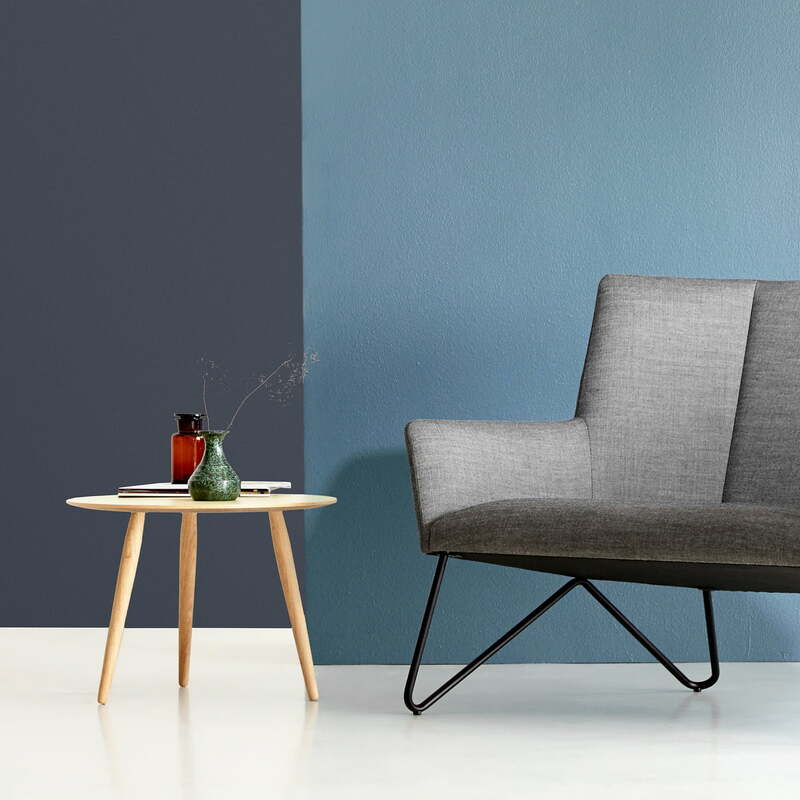 The finishes, sizes, and heights of the play side tables by bruunmunch allow for exciting compositions and look good especially in front of the Remedy 3-seater. The variations resulting from the Play side table series by bruunmunch arise, are almost endless and make an individually designed piece of furniture from the side table. 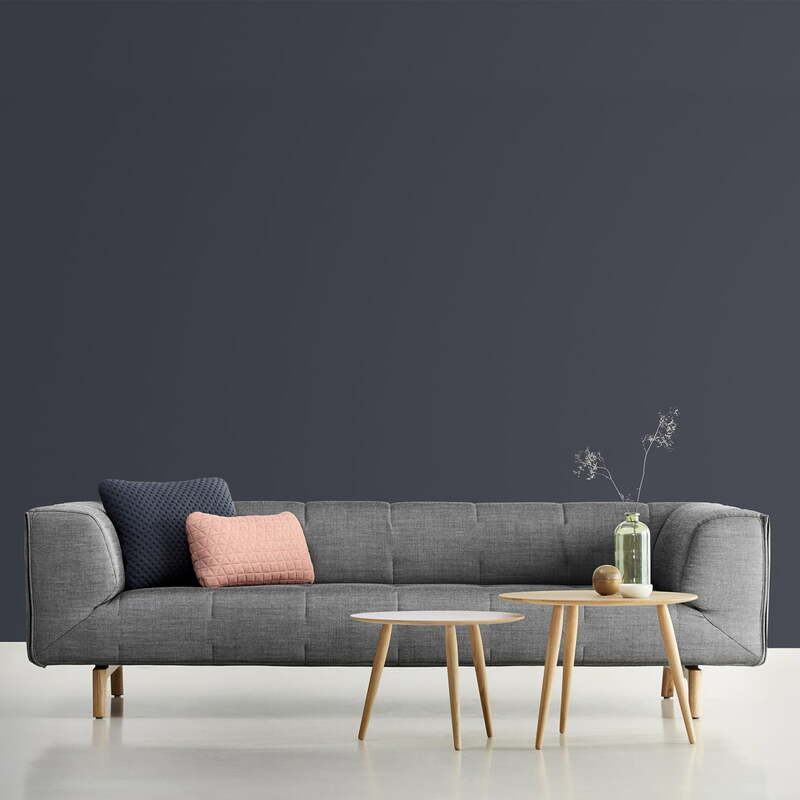 The Remedy sofa by Antonio Scaffidi complemented by the side tables of the Play series and the cushions Bouclè and Triangle cushions by Peter Barreth for bruunmunch.